Dimondback Terrapin or simply Terrapin with its latin name being Malaclemys terrapin is a species of turtle that inhabit salty and mid-salty waters in the Atlantic Ocean, from Massachusetts to the Gulf of Mexico and southern Texas. The have not obtained their name by accident – the spectacular shell with is symmetrically situated plates truly looks like they’re encrusted with diamonds. Their size of the turtle, however, is fairly small, reaching only 10-14 cm in length for males and 15-23 cm for females, while the total body weight rarely exceeds 1 kilogram. 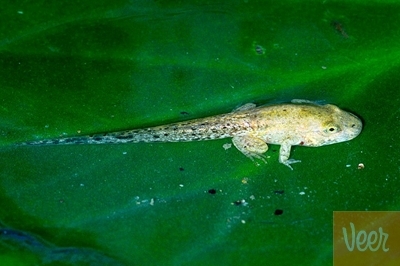 The skin colour is gray, with many irregular black spots. The Diamondback Terrapin lives in rivers and river deltas in the Northern America. The freshwater they live in mixes with saltwater from the sea. The turtle spends most of its time in the water, calmly floating near the surface. At noon they come out of the water and bask in the heat. At night, the animal digs into mud. The populations living more to the North spend their winter dug up into wet mud, occasionally waking up to feed and then returning to the shelter. 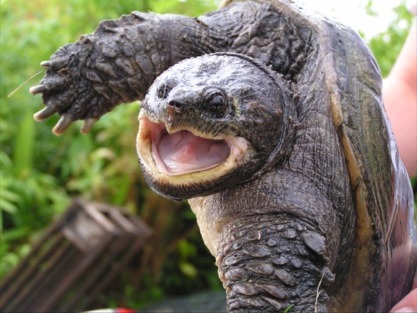 These turtles do not have teeth, but their mouth is more like a bird’s beak with sharp sides. The Terrapin’s jaw muscles are very strong, allowing it to grab and tear apart the prey.They feed on fish, crustaceans, shrimps and a variety of bugs and worms, and sometimes even weeds. Unlike true saltwater turtles, the Terrapin needs access to freshwater every day, to quench its thirst. 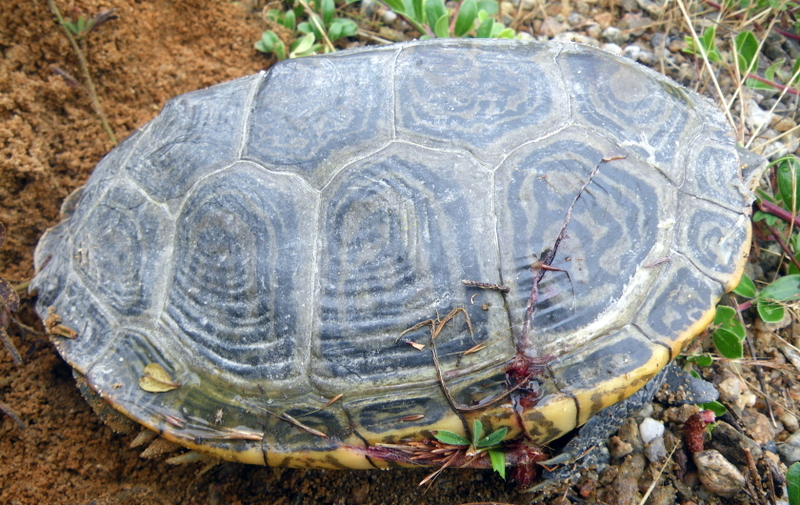 When held in an aquarium, however, the Diamondback Terrapin’s shell soon gets covered with mold, which will disappear if washed with saltwater. Most of the information about this turtle’s mating habits is obtained from individuals that are kept in captivity. Their mating period always occurs in spring, when the weather is gradually turning slower. Early spring, the female finds a suited place, most often at the shore of the water basin, where she digs a 30 cm deep hole. 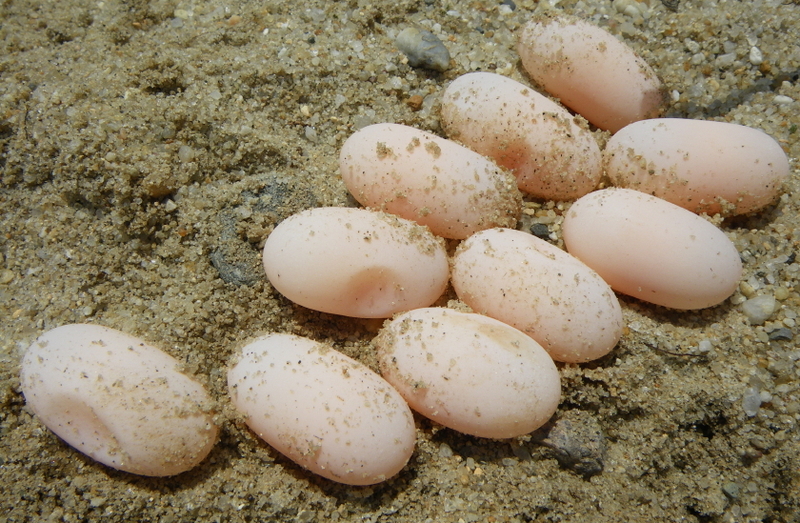 There she lays 7-24 white eggs and covers them with wet sand. About 90 days later, young turtles hatch and they immediately start independent lives, while their total life expectancy is up to 30 years in the wild and 50-70 years in captivity. 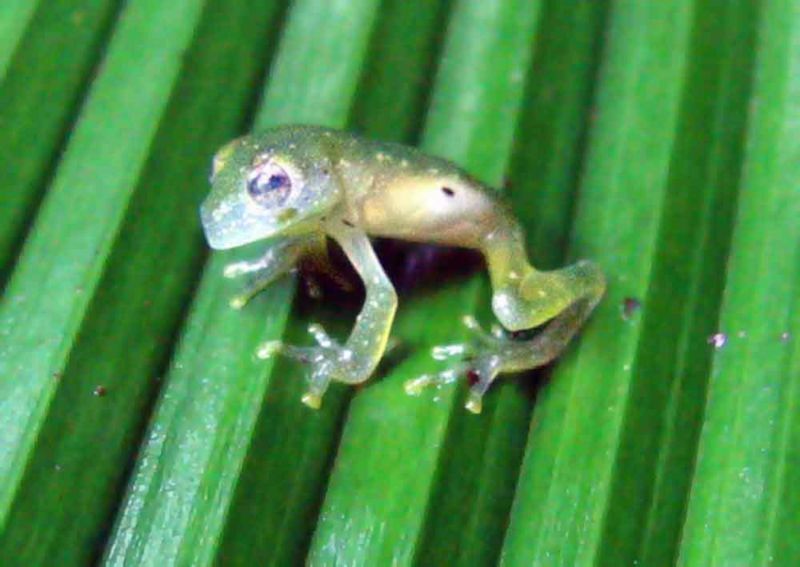 They reach sexual maturity fairly slowly, the first being females, who can begin reproducing at the age of 7 years old. As they get older and larger, the females can lay eggs multiple times a year – the largest females can do it even five times a year, after a single copulation in spring. In the seventeenth century, Terrapin meat was a cheap food source for people living in the surrounding areas. 100 years later it was already considered a delicacy, while in 1920 the turtle meat was more expensive than most other delicacies. Nowadays, there are farms where these turtles are being bred for meat, thus hunting specimen in the wild has ceased and their populations are slowly rising.